The Library Corporation (TLC) has partnered with Mackin Educational Resources, merging MackinVIA eResource platform services with TLC’s Library•Solution ILS. Released on March 8th, the integration of MackinVIA and Library•Solution’s Public Access Catalog begins a partnership that unifies MackinVIA’s capabilities with TLC’s customer base. TLC is the first automation vendor to offer this fully integrated service. Library•Solution for Schools is TLC’s integrated library system, serving K-12 libraries and media centers, as well as single, multi-site and consortia customers. Available for on-site implementation or as a hosted solution, Library•Solution is the preferred automation system of more than 4,500 libraries worldwide and some of the largest school districts in the USA. MackinVIA provides school and public library users with access to more than 2 million digital holdings, including eBooks, audiobooks, databases and videos. The content accessed through MackinVIA is oriented to grades Pre-K to 12, providing students with a variety of items beyond typical library holdings. A partnership between TLC and MackinVIA enables borrowers to find and manage MackinVIA titles alongside other library collections using a single interface. Borrowers can check out, download, return and renew, and place holds on MackinVIA titles with TLC’s LS2 PAC and LS2 Kids, creating a seamless integration with a single user account. “We are excited about this new partnership as it aligns with our goal of making access to all eResources through MackinVIA seamless and one source accessible,” says Mesa Heise, Mackin’s Director of Digital Resources. TLC has operated under the same ownership since 1974 and employs over 200 people dedicated to delivering enterprise hardware and software solutions to public, school, academic, and special libraries worldwide. TLC’s SmartTECH offers products for your makerspace or STEM programs with a collection of premium brands that provide your library with a single source to meet all your technology needs. TLC’s cumulative products are deployed in more than 1,100 organizations, representing over 5,500 locations in North America. 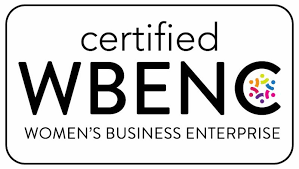 TLC is certified by the U.S. General Services Administration, Women’s Business Enterprise National Council, and the Women Owned Small Business Federal Contracting Program. Headquartered in Inwood, W.Va., TLC has additional offices in Denver, Minnesota, Singapore, and Ontario, Canada. To learn more, visit TLCdelivers.com. For nearly 35 years, Mackin has provided library and classroom materials for schools and public libraries. Known the world over for exemplary service and a stringent attention to detail, Mackin has access to more than 18,000 publishers and a collection of nearly 3 million printed titles and thousands of makerspace products through MackinMaker. Additionally, Mackin features a robust selection of more than 2 million eBook titles, audiobooks, databases and video resources available through their free, state-of-the-art digital content management system, MackinVIA. For more information, visit www.mackin.com or call 800-245-9540.